In the period of 28th to 31st March 2019, Mss. 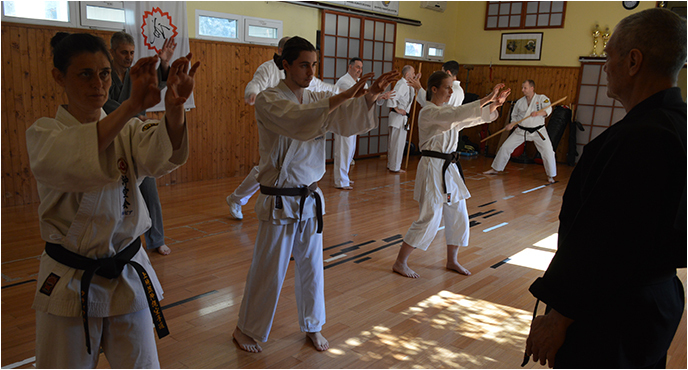 Donets Yuliia (Донець Юлія), member of the Okikukai "Onami" Dojo from Kiev-City, Ukraine, visited OKIKUKAI SERBIA HOMBU DOJO. 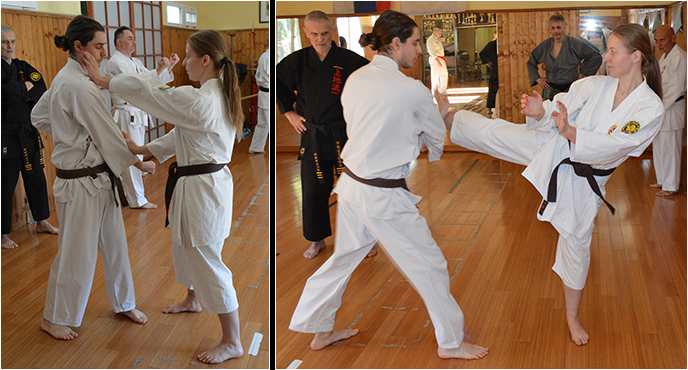 During this period she had INTENSIVE TRAINING PROGRAM under leadership of Popovic Vladimir, Kyoshi 8 Dan. Mss. 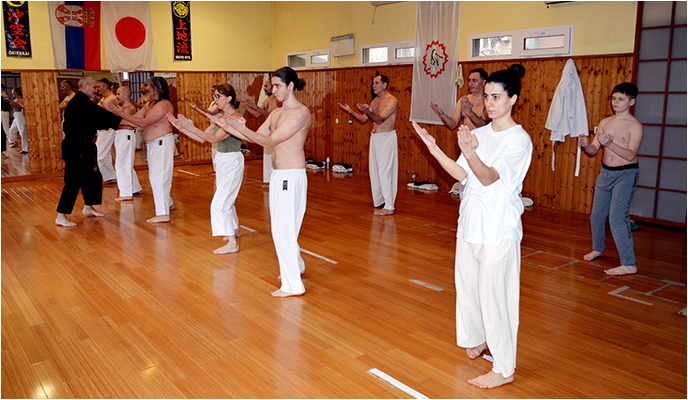 Donets Yuliia announced her next visit to Okikukai Serbia Hombu, in April 2019. 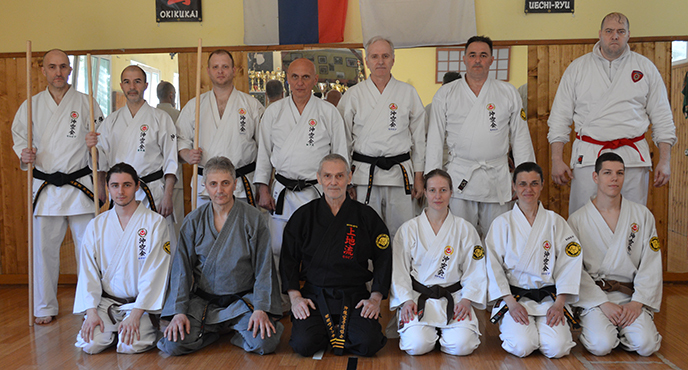 In the period of 4th to 10th March 2019, Mr. Tarasov Dmytro, from Kiev-City, Ukraine, visited OKIKUKAI SERBIA HOMBU DOJO. 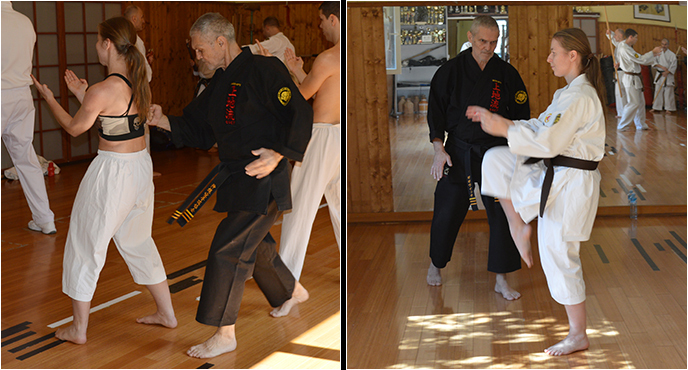 During this period he had INTENSIVE TRAINING PROGRAM under leadership of Mr. Popovic Vladimir, Kyoshi 8 Dan. 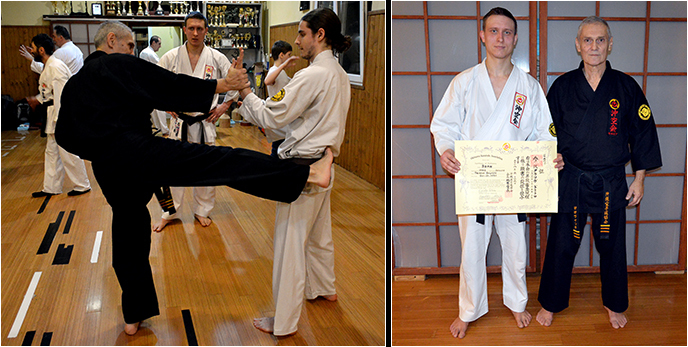 During this visit, the Certificate for 3 Dan of the Okikukai on Okinawa was handed to Mr. Tarasov Dmytro. He was successfully passed the test during last year. 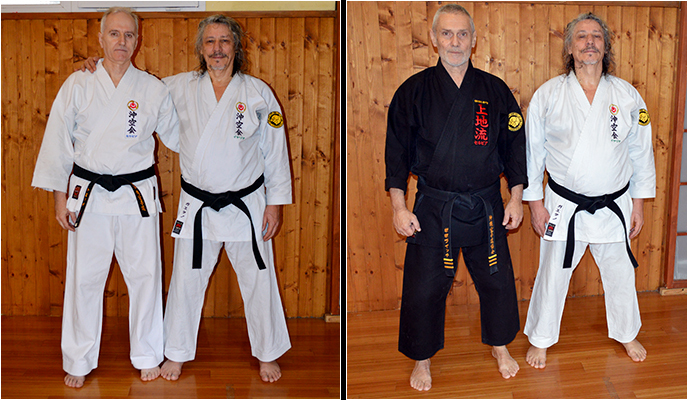 In the period of 29th January to 3rd February 2019, Mr. Gaetano Palumbo, 2 Dan, from Milan-City, Italy, visited OKIKUKAI SERBIA HOMBU DOJO. 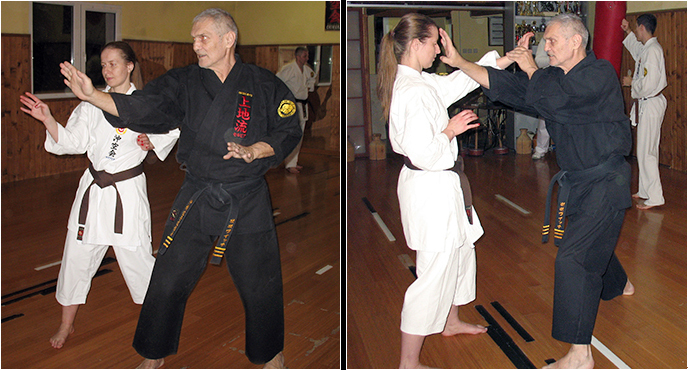 During this period he had INTENSIVE TRAINING PROGRAM under leadership of Mr. Popovic Vladimir, Kyoshi 8 Dan. On Sunday, 3 February 2019, Mr. Palumbo Gaetano had Dan-testing. He fulfilled all the necessary criteria and standards and was promoted to rank 3 Dan.